The beginning of every year is a crossroads. It’s a time when we give ourselves a second chance to change things about our lives so that we can become better versions of ourselves. We can view it as a tired cliché or an opportunity to be seized. I’m viewing it as an opportunity to be seized. There is just something about a New Year that gives each of us permission to hope for more beyond the daily opportunity we know we have to do the exact same thing. It just feels like you get an automatic blank slate at the beginning of each New Year. How Will you Make 2019 Your Best Year Ever? This Christmas just gone I received a beautiful gift of the iconic 6 Minute Diary. I wasn’t expecting it. And from the moment I opened the first few pages I knew this would be something different and would help me to help myself in the coming year in a way that was accessible and acceptable to me. The clue is in the name – 6 minutes. When our greatest challenge as entrepreneurs is Self Care – 6 Minutes makes that idea of Self Care entirely possible. And more… 6 Minutes Every Day is Life Changing. Try this Practice and Make 2019 Your Best Year Ever. 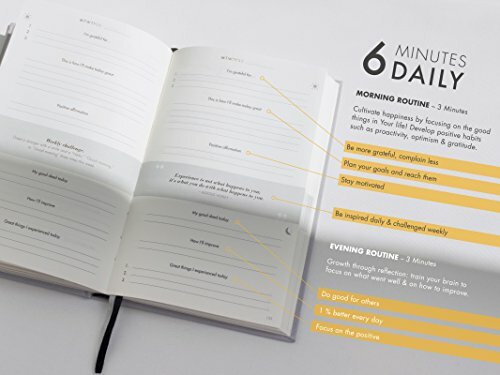 I want to share with you the core components of the morning and evening routines of the 6 Minute diary and you can see if it’s something that resonates with you. Try it. Even for a short time and see if this is something that will make 2019 your best year ever. I’ve a feeling it might. Write down three things you’re grateful for, or one thing plus three reasons why you’re grateful for this. Focus on the Opportunities and Possibilities of the day. What are your goals and priorities for today? What are the concrete actions that will enable you to take steps in the right direction? Draw a picture of how you see yourself today or in the future. Define yourself as the person you want to be. Even the smallest act of kindness can make someone else happy. A good deed serves to give you a sustained sense of happiness in return. What good deed did you do today? You want to grow and develop continually. What have you learned today? What opportunities for improvement do you see? Each day is filled with small moments of happiness and success. Meet them with your eyes wide open, seize them and hold onto them. 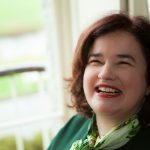 As you read, you’ll realise like I did that this is an unusual mix of the practical goal setting style of diary or planner that helps us accomplish what we set out to do and something deeper that is geared towards our own happiness. I love that. It’s a choice I have made for my own life. To make choices that serve the joy in all of my life. A life that is a joyful integration of the best of all that touches it. It’s not always possible but I subscribe to the notion that practice makes perfect and so I practice every single day. Habits are a Key Ingredient to Make 2019 Your Best Year Ever. If you want to change your life you must change your habits. And I must change my habits. Creating a daily habit forming routine is key to achieving that. There is much talk about whether it takes 21 days, 1 month, 8 months etc to really bed in a new habit. I would rather take the approach of creating space for conscious choices that serve us where we are right now. That serves me where I am right now. A moment will change a habit ultimately for the better or the worse. Attaching guilt or formulae around that just adds a pressure that doesn’t necessarily serve the end goal. Instead focus on identifying something simple that is repeatable and possible. Something that will move you forward one step. Just one small step. Identify something repeatable and possible that you can do each day that will build to a week… then a month… then 2 months… and so on. After a while it’ll be like brushing your teeth, you won’t be able to leave the house without knowing you’ve done it. And you will have moved forward. You will have changed your life. The magic in this is you can do it every single day with anything you set your sights on. Giving Gratitude in your morning routine allows you to recognise that power you hold. It allows you to affirm your progress each day and repeat it the next. This month I’ve chosen to create new daily habits around how much water I drink, exercising every day and growing my online program – Get Strategic… Get Results! This is a powerful exercise that’s grounded in your own belief about what’s possible. Consider writing yourself an email dated 6 months or 1 year from now. Describe where you see yourself and your life at that point in time. Check out Futureme.org which will actually send it to you at that future date. It’s amazing how accountable you’ll feel to yourself when you know it’s going to be sent on to you automatically at that date in the future. I’ve written one to myself for 6 months from now. I’m both excited and scared simultaneously. I don’t want to let myself down and the mere act of sending that email allows me to believe that all this is possible. And that is always exciting to me. 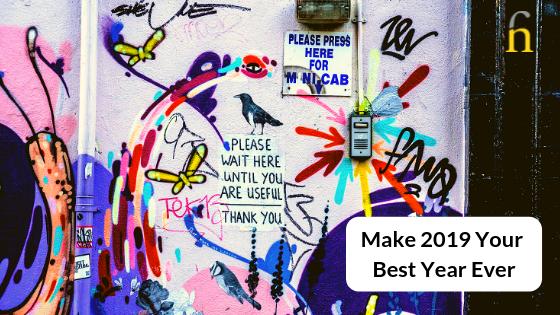 So, Let’s Recap – How Will you Make 2019 Your Best Year Ever? Start Each Day with Gratitude, a Declaration for How you will Make Each Day Great and a Positive Affirmation that is supports that Declaration. Choose Daily Habits that serve you and change you. Choose something repeatable and possible and keep doing it until you’ve forgotten it was a choice. Then move forward with the next one. Send an Email to your Future Self celebrating the You, you will become. It’s practice for what it will feel like when you have actually achieved it. When we believe it in our minds first, reality simply follows. Finish each day Positively; acknowledging a good deed, understanding where you can improve and celebrating moments of happiness. This is what it feels like to move forward with Gratitude and Intent. This is How you will Make 2019 Your Best Year Ever. Thank you to Sarah for this beautiful gift. It was both a surprise and a revelation. Happy Birthday Dad. It is your first birthday that we celebrate without you. I cannot think of a better way to celebrate than a life lived in the best way I can. Thank you for showing me the courage to do so. Good luck with your mission, Finola. I’ve no doubt you’ll get there. I’m going to do a page of my own personal writing every day, as well as what I do for clients. love this article and the simplicity of the idea! thank you! I feel very blessed to have been gifted the diary and am really enjoying the process – it has a very grounding impact yet also nurtures my belief that all things are possible. Find the joy then thank whatever you let go of – a wonderful approach to moving forward. Energy is released positively to create space for a higher frequency. And Growth is always at a Higher Frequency as you know. I wish this for both of us this year. Absolutely love this 🙌🏼. I do some of these as visualization exercise after meditation & my kids have an ‘I am awesome journal’ where they record what they’re proud of / has made them happy each day. I love the future email idea – will be sure to check that out! Wonderful start to the year for you!! Thank you for sharing this Finola, its great. I am a big believer in baby steps forward and for some time I seemed to be taking steps back 😑 For 2019, I plan to change this in a forward direction again and make those daily small changes! It happens to the best of us Eimear so don’t be too hard on yourself. Face forward and get stuck in on what’s next not what’s past. Bravo you on making the daily small changes – they will make all the difference. Wishing you your best year ever! There’s quite a lot of similarities between this journal and the Self Journal. I’ll have to show you one of those when I see you next. 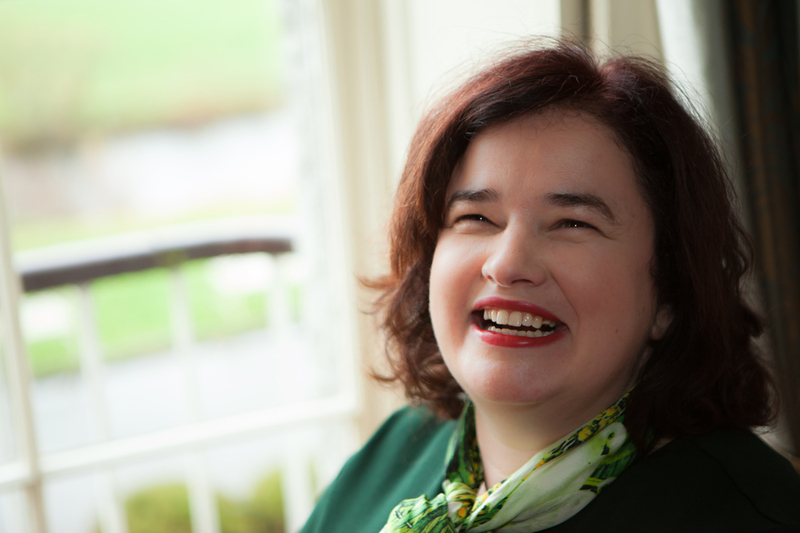 Ah the wonderful Miriam – we were both given gifts that would help us. We are supported. All is well. I really enjoyed reading the above article, lots of food for thought. I meditate regularly and keep a gratitude journal. I find it’s a great start to the day really connecting with you are. I really like the idea of the email and the ability then to receive a copy at a future point.